The venue hosted its first-ever FIFA World Cup match on 16 June 2018, when the national football team of Argentina faced Iceland in front of 44,000 fans. It was the first-ever FIFA World Cup match of Iceland, one of the 32 participants of the 2018 FIFA World Cup. 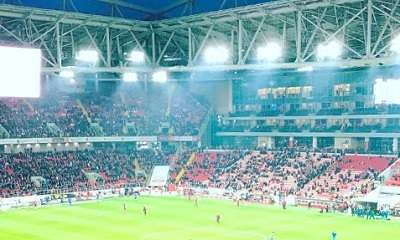 Spartak Moscow, also known as The People’s Team, have been tenants of the stadium since 2014. They drew an average attendance of 25,000 in 15 home games during their first Russian top-flight football league season at the venue. Spartak Moscow and their arch-rivals CSKA are among the first Russian football clubs with 100,000 followers on their main social media page. In 1991, Spartak Moscow became the first club from Moscow in the semi-finals of the European championship for football clubs.